BC Live Productions is a full-service live streaming company that produces concerts, corporate client webinars, sporting events and other live events. The team also provides rental equipment, but their main service is producing live events for clients like Avid, Disney, Honda, Cisco, Google, Capitol Records, and YouTube Space LA. With such a wide variety of clients and events to produce, one of the challenges that Brett Collins, owner of BC Live, encountered was the variety in workspace sizes at venues. He needed a workflow with equipment that could fit discretely into a small church, yet be powerful enough to cover a major concert venue. The type of content is varied as well, so he needed equipment that would be versatile enough to shoot very basic to very complex events, resulting in the same consistent, high-quality end product. 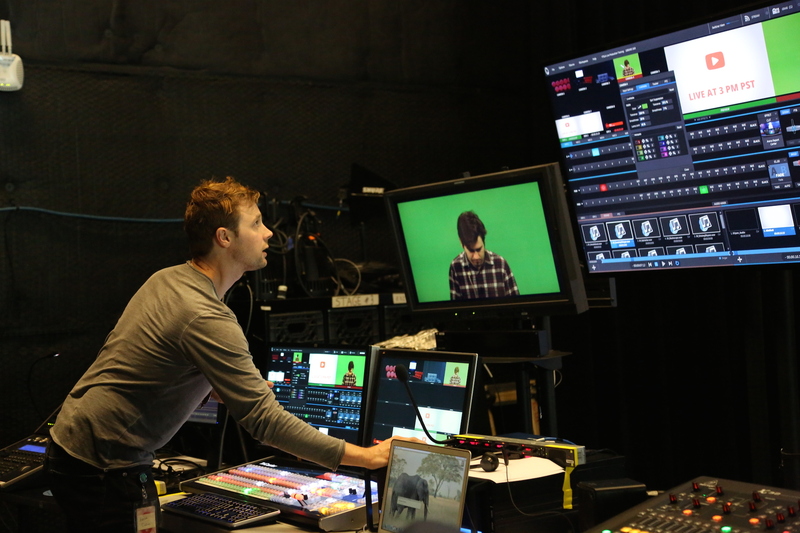 Brett Collins, owner of BC Live Productions, trains the YouTube Space LA team on the unique features of the TriCaster 8000 for live events. 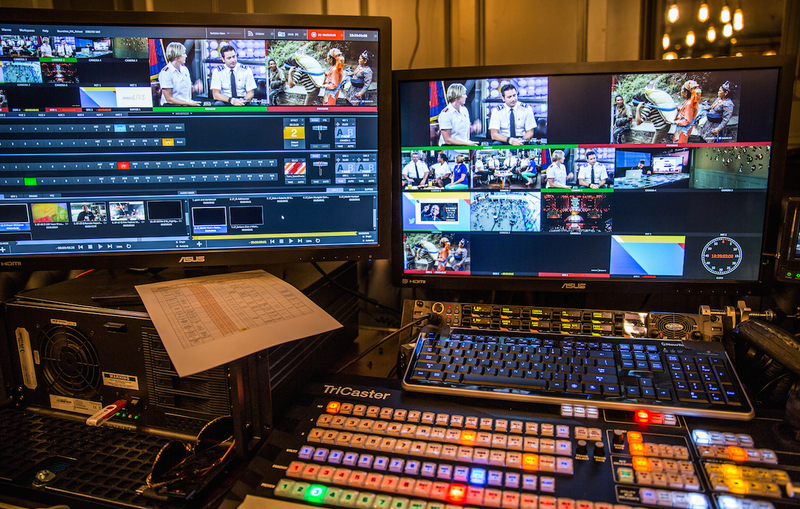 Last year, Collins added a few NewTek TriCaster Minis to his collection of studio equipment for rent and for hire. It quickly became the go-to unit for anything that involves traveling, because it fits in a small carry-on case. 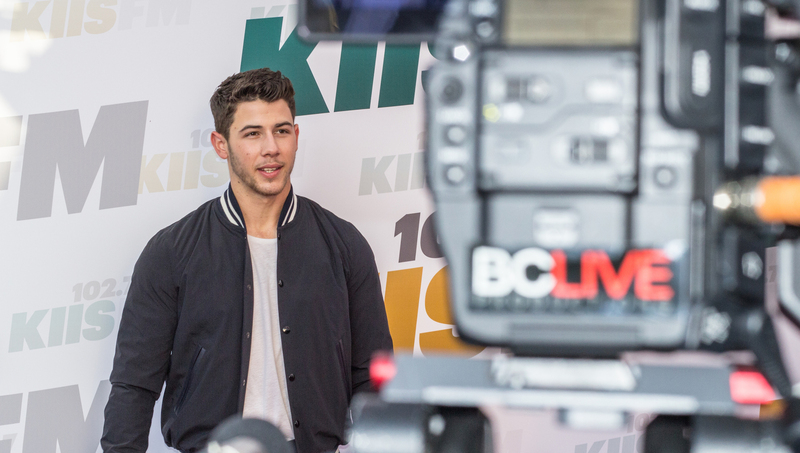 Not long ago, BC Live was hired for a special broadcast of the Que Buena radio show in LA. 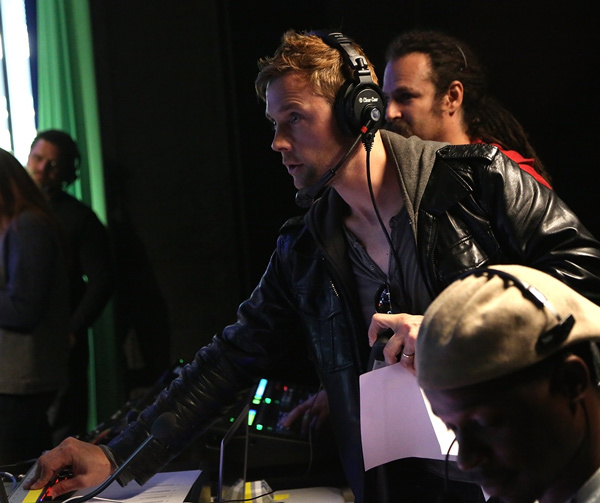 The shoot was in a recording studio’s control room, which was very small. He had to fit his equipment and his team in that tight space, and had it not been for the new workflow, they would have had to structure the whole thing differently—an inconvenience for both the client and the production crew. He ended up putting the equipment on a small workbench in the corner and it worked out perfectly. Now Collins can scale up and down easily, depending on the production. He might send one or two people to operate the TriCaster and the camera, or he could send a full crew—anywhere from one to 25 people. Workflow is generally similar across all BC Live productions, with customizations made for different types of events. All the necessities for a BC Live Camera Operator in one photo: wireless communication headset, on board monitor, teleprompter, focus demand, and servo lens. For audio, ambient mics (usually Sennheiser 416s) and headset/mics are input into the Mackie 1604 Mixer, along with at least one wireless handheld mic, which goes through a wireless microphone trans/receiver. All mixed audio is input into the TriCaster Mini. Also going into the TriCaster Mini are pre-made graphics from a laptop, which are fed directly into Mini’s HDMI input. One secret weapon on the conversion front is the Decimator DMON-4S, which acts as 4 x SDI-to-HDMI converters in one little box. By adding this to the kit, BC Live is able to easily convert 4 SDI cameras into HDMI for use with the Mini. Canon C300s are a favorite of BC Live because they deliver that classic Canon look and work very well in low light. At concerts, the A1 will give them a feed, then they record ISO cameras as well as line-cut. 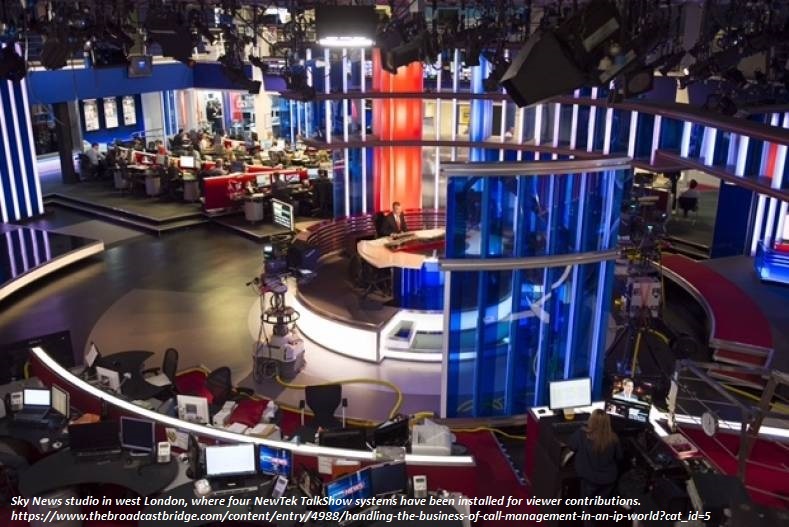 Audio and Video is then output from the TriCaster Mini through an HDMI cable into a Client Confidence Monitor to preview the content being streamed online or to whichever destination the customer prefers. “A lot of it comes down to portability and the power you get in a small unit because we can easily slide into any production environment, and we don’t take up a huge space,” said Collins. Sometimes the production environment is simply the back of a truck. If someone is switching cameras from there, Collins can carve out a tiny corner and give the client a complete streaming solution with just one person. He bought a USB bus-powered monitor for the TriCaster that can all fit together in one case, so he is literally one power cord away from being up and running. 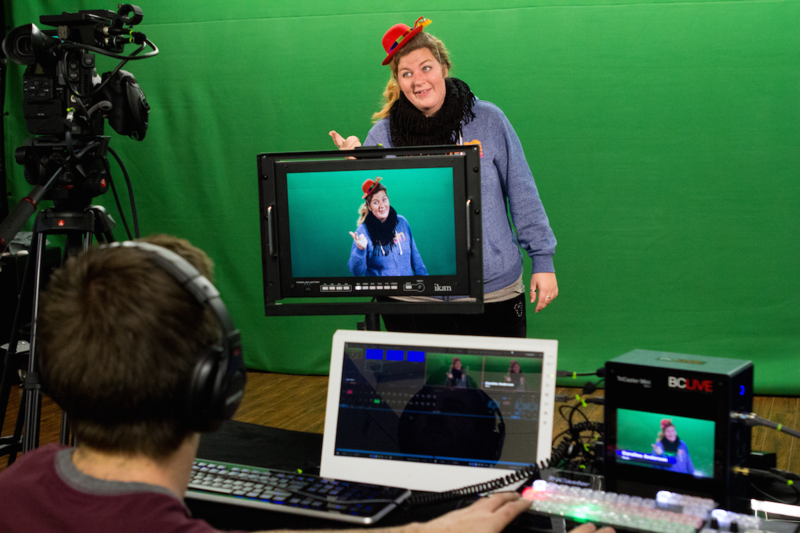 The very funny Caroline Anderson from the Caroline Anderson Show in a single straight to camera live web production on a green screen. BC Live uses this workflow in places where they already know the space won’t be very large—typically for corporate clients, schools, and church services, where they don’t want a lot of bodies and gear that may be disruptive. It doesn’t look like a huge production is happening, even though the end product looks like a professional-grade broadcast. The new workflow’s portability and flexibility allows BC Live to access spaces and clients which would have been a much bigger challenge before. BC Live’s clients choose to use them for productions because they have a familiarity with live streaming platforms and with the gear itself. Hobbs says that there’s an expectation in online content now. They’re in the live streaming realm, and when it’s well done, it looks like TV online—and now audiences have come to expect it. 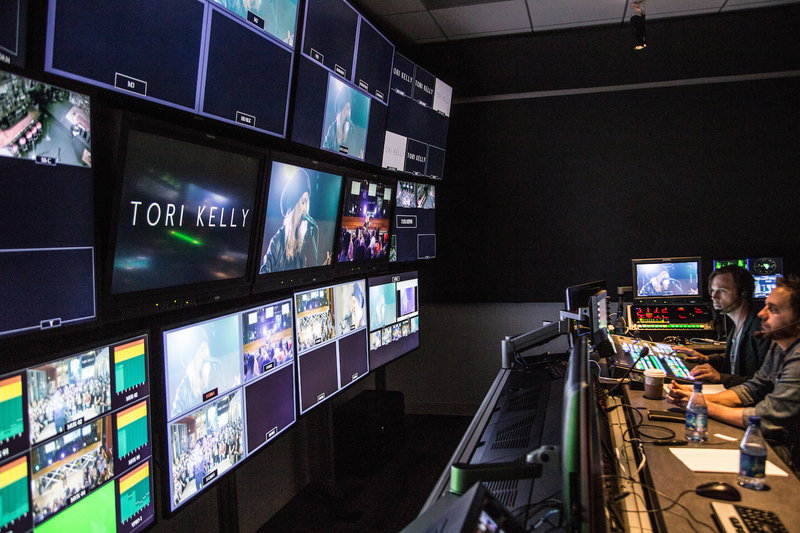 A behind the scenes peak into YouTube Space LA’ s control center during the live Tori Kelley performance. However, the reality is that a lot of companies aren’t willing to spend a lot of money on something that just lives online for that one moment in time. That’s where BC Live comes in. BC Live clearly doesn’t need to work too hard to convince people of the benefits of live streaming. As demonstrated by their continued evolution and success, Collins and his team intend on sticking around for more than just a moment. For audio, any combination of handheld, lavalier, or overhead mics as well as ambient mics are input into a small audio mixer (often a Yamaha 802VLZ4). 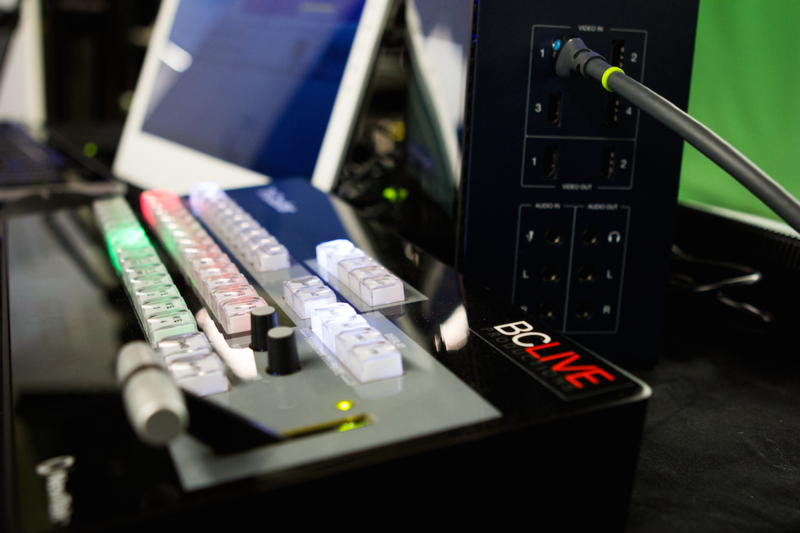 All mixed audio is input into the TriCaster Mini. Canon C300s are converted from SDI to HDMI using a Decimator DMON-4S. 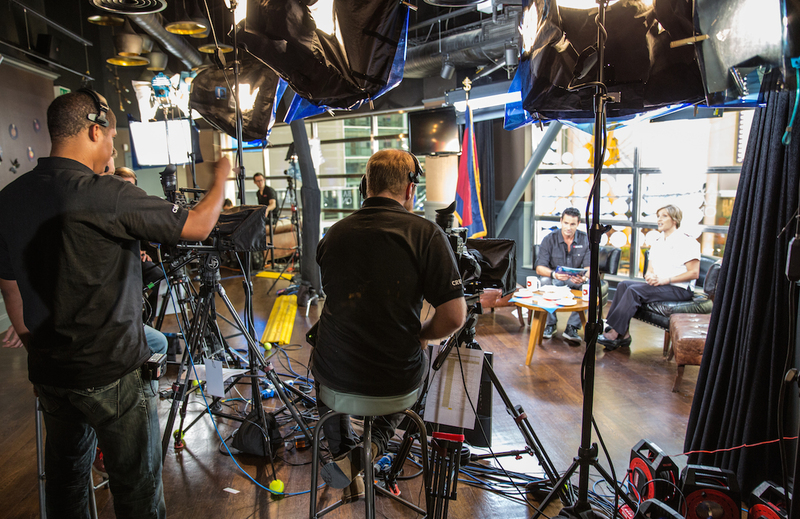 An inside look of Video Village at The Salvation Army’s, Boundless 2015 in London: celebrating the organization’s 150th anniversary. The TriCaster Mini made an appearance capturing the line cut, and replaying the footage inside the infamous 02 Arena as nearly 20, 000 watched inside. Lights, camera, action! 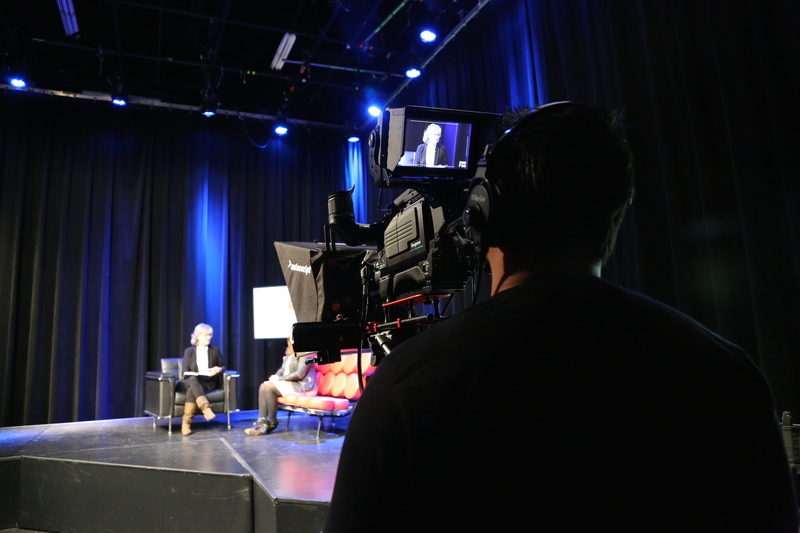 BC Live Productions is live at SAVN TV’s Boundless 2015 with an eight-camera shoot of the daily pre & post- show action. 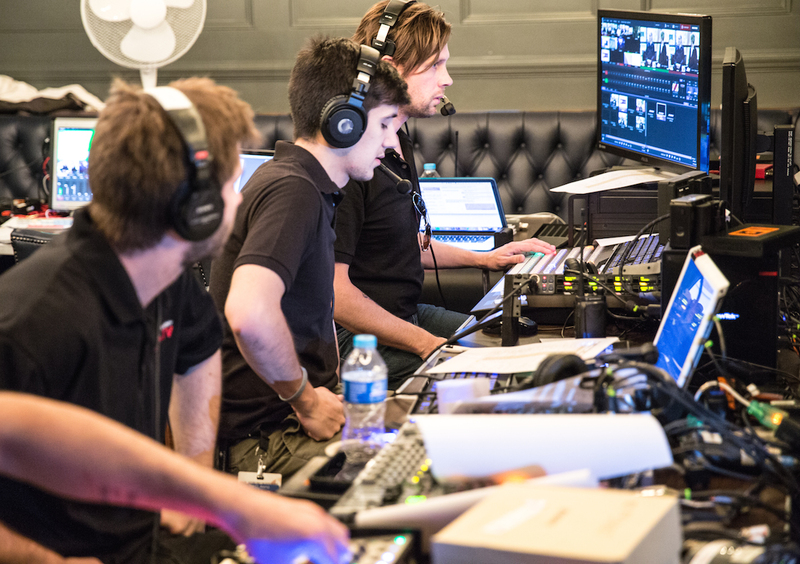 The TriCaster 860 handling 8 cameras, graphics, video roll-ins, isolated camera recordings, and encoding at The Salvation Army’s: Boundless 2015 in London. Justice League: Battle for Metropolis at Six Flags in Arlington, Texas. 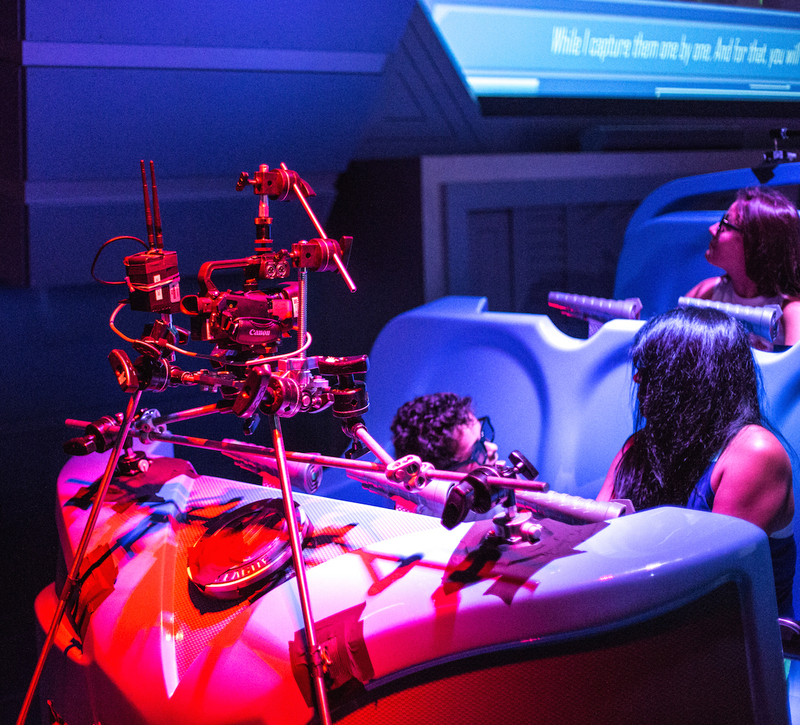 By creating a wireless virtual experience, streamers were able to witness all of the twists & turns on opening day!